Adventures around Yorkshire this Summer! Summer is well and truly underway, so we’re spending more time outdoors either on foot, on wheels or in the beer gardens! There’s so much to see and do, so we wanted to dedicate this blog to the great outdoors this summer – most are very active, so don’t forget your rucksack full of pork pies! We’re big fans of cycling and whilst we might not be ready to take on the Struggle cycling events just yet (though our pork pies are usually available at their rest stops to help cheer you on for the next leg) there’s still lots we can do. Forget Sunday drivers, we’re more Sunday cyclists – as long as there’s a pub at the end so we can put our feet up and discuss the ride at the end over a pint. The Cinder Track is a great off road route running from Scarborough to Whitby and was originally a railway line down the North Yorkshire coast which took goods and passengers. It’s also good for walkers and those on a horse hack since there’s no car traffic, there’s also tea rooms along the route, but these are only open on certain days, there’s benches for when you need a break and a pork pie for an energy boost too! A route we haven’t tried yet but plan to this summer is the Driffield to Bridlington cycle route. Ride along the National Cycle route 1 to the Yorkshire Coast on a mostly quiet route and finish at the coast for a day out at the seaside! We’ve not been to Bridlington in a while and would love to visit the beauty spots there this Summer including Spurn Point and Flamborough Head – perhaps even a sightseeing boat trip to see the coast from a different perspective! Herd Farm is a residential and activity centre by Eccup Reservoir in Leeds, ideal for parties and a get away for some outdoors fun! There’s so much to do here, from birthday parties and weddings to zorbing, children’s parties and corporate retreats. Get 11 of your friends together and head out to the countryside to do some great activities, including: assault course, giant swing, zip wire, den building, pottery, biking, archery and many more. Live for Today also run adrenaline fueled activity days and weekends at locations around Yorkshire, including Ripley Castle and Hazlewood Castle. The activities include paintball, crossbows, axe throwing and quad biking, being incredibly diverse and also offering things like caving, canoeing and raft building at various locations. Some of the minimum bookings here are from 2 people so great for smaller bookings. If you fancy seeing Yorkshire from a different point of view, have you thought of taking a trip on a hot air ballooning? The hot air balloon flies at the same speed as the wind so they only fly on days the wind is just right (below 10 mph) and an average trip is around 7 to 10 miles. Float around a mile above the countryside and on clear days see for miles, pointing out the surrounding areas. Since the balloon can’t be steered, you will land in a field at the end of the trip and be transported by road back to the starting point. Since the balloons can’t be flown all year, it’s summertime that’s best for a ride, so the time is now! Also available in summertime (usually between March to October) is hand gliding and paragliding. The Dales are one of the top places in the UK for paragliding and flights can last around 5-6 hours spanning 100 km can be achieved here. Of course, training is required but there’s lots of schools in Yorkshire for both paragliding and hand gliding. You can book onto a day course before the full course to make sure you’d be comfortable with the activity before you commit. Climbing, whether inside at a climbing wall or outside in the countryside is always a lot of fun at the weekend. Some of the UK’s best limestone sport climbing occurs right here in Yorkshire, and who else has the great views that we do at the top! Make sure you take a pack of mini pork pies for you and your friends to enjoy when you’ve achieved the climb and are relaxing at the top enjoying the view. Again, we always recommend going climbing with a teaching academy so they can properly teach you and ensure your safety throughout. If you want climbing on a smaller scale, go to Brimham Rocks in North Yorkshire where dramatic natural rock formations were created by an incredibly powerful river which flowed through the area 100 million years before the first dinosaurs walked the earth. 320 million years worth of water, ice and the movement of continents have whipped these rock formations into fun shapes which are great to climb and view Yorkshire from a different point of view. There’s so many boat tours around the Yorkshire Coast themed excursions such as Whitby’s Captain Cook Experience which is a fun boat trip in a pirate ship replica of Captain Cook’s boat – whilst on board you will be regaled with tales of Captain Cook and his adventures. Or take a trip to see from Bridlington on the YorkshireBelle pleasure cruiser, now in it’s 71st consecutive year at sea, it runs from Easter to October and previously has been the winner of the Sunday Times Best Boat Trip in Britain. There’s so much to do in Yorkshire, these are just a few things to do – from land, sea and air! All summertime activities and all great fun. 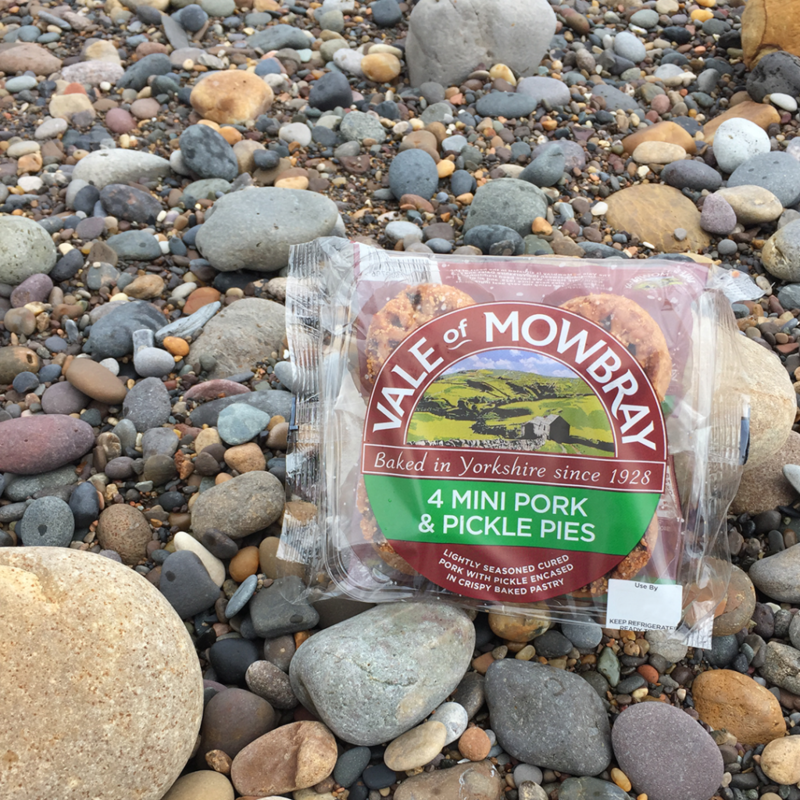 Don’t forget your pork pie picnic if you go on any of the events; whether up in a hot air balloon or on a cycle to the seaside, you’ll want a tasty snacks with some stunning views of Yorkshire.